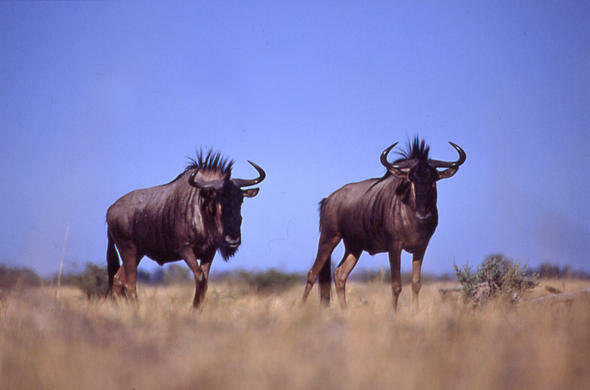 The Central Kalahari was the scene of one of Africa's largest land migrations when half a million wildebeest migrated south into the region in times of good rains and returned to the northern wetlands when the water dried up in the central region. Due to a number of human-induced factors the migration stopped in the 1980's. As a developing country Botswana was at the mercy of larger economies and in an attempt to save its beef industry the country set up fences across once-wild areas to control the movement of wildlife into the domestic herd territories. One of the fences cut off the migration route of the wildebeest, while they were still in the south, and this resulted in a massive die out. The wildebeest population of Botswana has dropped more than 90% since the fences were erected, with a danger that it could drop even more with new fences in the pipeline. 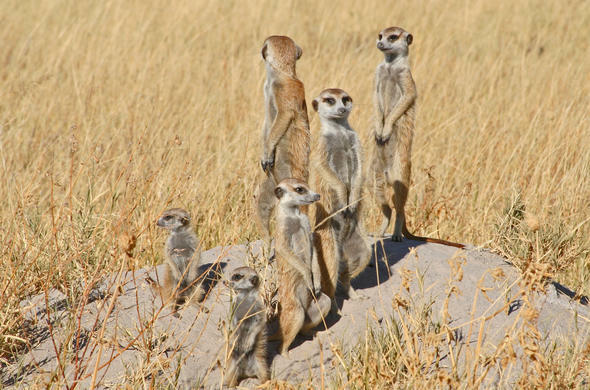 Although known as the Central Kalahari the region is far from desert-like. Ancient grass-covered dunes roll across the landscape and a variety of trees such as the acacia's dot the region. Surface water is lacking but the wildlife that exists in the area derives all the moisture needs from numerous melons and bulbs that are common to the Kalahari. The majority of animals that live in the Kalahari do not need to physically drink water, instead deriving their moisture needs from the food they eat. During the dry season the wildlife disperses into the dunes but with the onset of the rains vast herds of antelope such as springbok move in to the valleys where the grass has greened up. As the Kalahari can become very dry, with limited or no surface water, the animals have to search across wider areas for sustenance. This results in the home ranges of the animals varying greatly between the seasons. During the wet summer months wildlife concentrates in the valleys where the grass has sprung green. 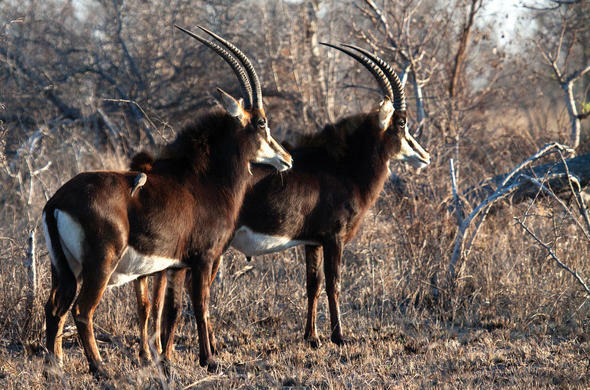 This is a time of plenty in the Central Kalahari when antelope give birth and predators' home ranges are reduced to the fringes of the ancient river beds. The book 'Cry of the Kalahari' details a couple's years spent in Deception Valley studying the predators of the Central Kalahari and in particular the brown hyena. Besides the brown hyenas the book details the behavior of lions, leopards, jackals and other creatures of the region. 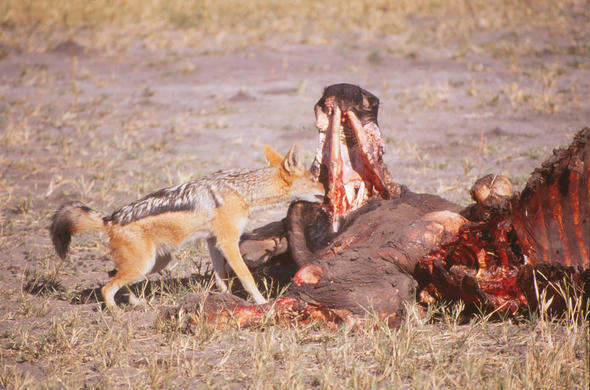 The name of the book is derived from the beautifully mournful call of the black-backed jackal - a common sound that carries across the Kalahari between sunset and sunrise. The recent human history of the Kalahari is one of hope and despair. Farmers attempted to farm the dry interior - signs of which can still be found littering the area - and in the 1960's the Central Kalahari Game Reserve was proclaimed to allow the bushmen to continue their traditional way of life. This meant they could hunt animals and gather plants in the confines of the reserve. In recent years however the Bushmen have been relocated to villages on the edges of the reserve and, despite a court ruling that they could continue untilising the reserve, the authorities have clamped down on activity in the park. A new threat to the wildlife of the Central Kalahari is the discovery of diamonds in the area. This will open parts up to mining. 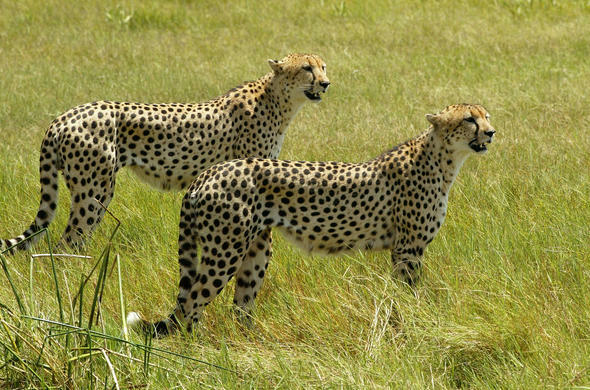 But for the time being the park is developing the tourism potential of the Central Kalahari.